Revolt of the Triffids -- Awesome Cover Art! Popular Library 411, originally uploaded by uk vintage. Man, this is one cool cover! 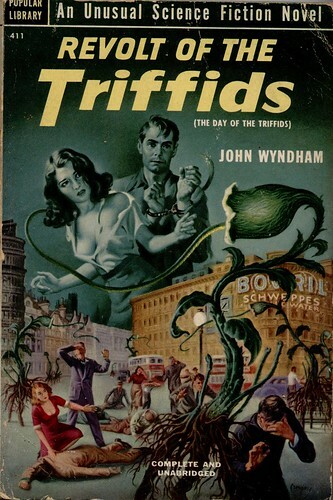 From 1952; Revolt of the Triffids by John Wyndham. Cover art by Earle Bergey. They Don't Need No Stinkin' Badges! 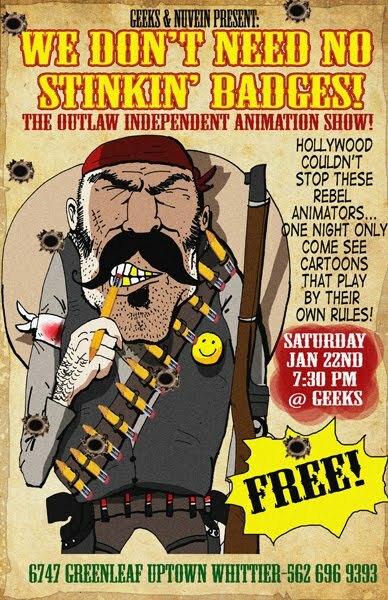 [WHITTIER, CA] Twice Oscar-nominated, indie animator Bill Plympton will headline a FREE showcase of rebel animators with his Academy Award short-listed film “The Cow Who Wanted to be a Hamburger.” On January 22, 2011 at ‘Geeks’ a comic shop in Whittier, CA will host the event sponsored by the Nuvein Foundation. Plympton, also on this year’s Oscar short-list for his feature “Idiots and Angels” had little industry support when he hung up his spurs as syndicated cartoonist, declined to be roped in by Hollywood animation mills, and forged new trails after producing the Oscar nominated short “Your Face” in 1987. 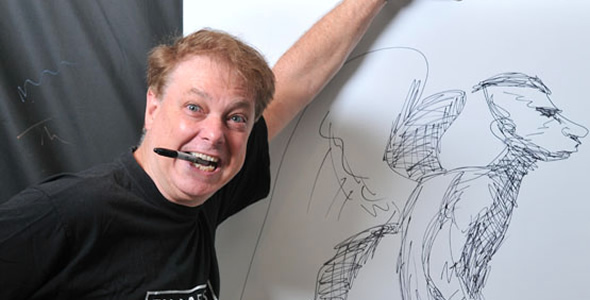 Now he shares the trails he blazed with "outlaw" animators who have looked to him for inspiration. Geeks comic shop, 6747 Greenleaf Ave. in Whittier, CA will host the event. The Nuvein Foundation of San Gabriel Valley will sponsor. The Nuvein Foundation's mission is to raise scholarship funds for students and professionals in the arts, and showcases art via community performances and educational programs. 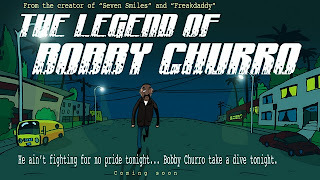 Shorts will range from the cut-out style of Grasiela Lopez to the mature Saturday-morning-satire of the Steven Sievers/David Kolodny-Nagy team to Ken Mora’s computer-animated spoof of ‘Dirty Harry‘ films, along with industry mavericks like Dominic Polcino (director of The Simpsons and Family Guy), Disney veteran Raul Aguirre Jr. who will create a short especially for this show, and object-animator PES, plus surprise guests. A pre-show mixer, with refreshments, is open to the public at 7:00 pm with screenings to start promptly at 7:30. 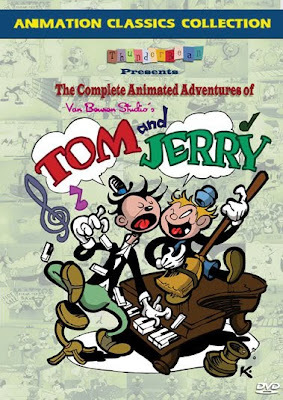 This show's content is recommended for teens and adults. I can't wait! I'll see you there on Saturday! 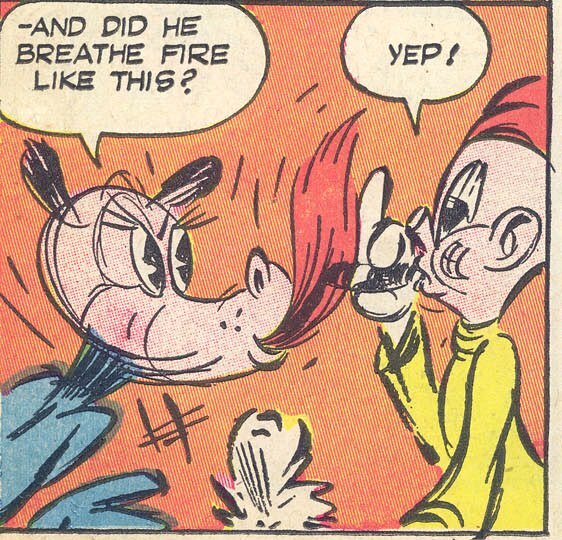 In between the various H. Chambers fever dreams from Hi-Ho Comics, we find these equally freaky filler pages! 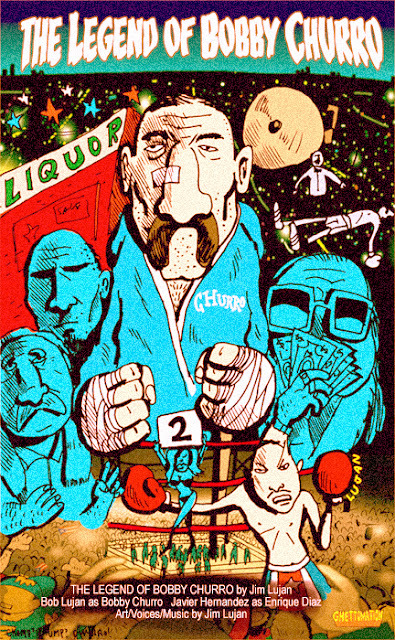 Another trippy comic from the crazed pen of Ellis Holly Chambers…meet Daffy Dragon. This one is even more extreme than the last few posts! 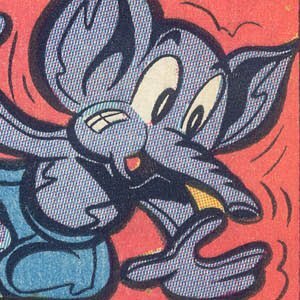 Even though these comics came out in 1946, this story would be perfectly suited for ZAP comix! Look at that 5th panel on page two (above)…looks like Victor Moscoso could have drawn it! ..and there it ends, awkwardly bookending the very first panel of the story. Whoa!